Do You Suffer From TIVO Guilt? I read and article today about a new condition called Tivo guilt. I think I have it, and it looks like I’m not alone. If you have a bulging Tivo hard drive, like I do, then you need to check out this article. CLICK HERE for full article. P.S. What I really want for Christmas is a Tivo with a much larger hard drive and lifetime programming, like I have now. 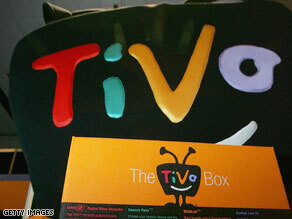 Hey Tivo can you hear me? TiVo and Amazon will let consumers purchase products from Amazon.com through their television sets using their TiVo remote control.